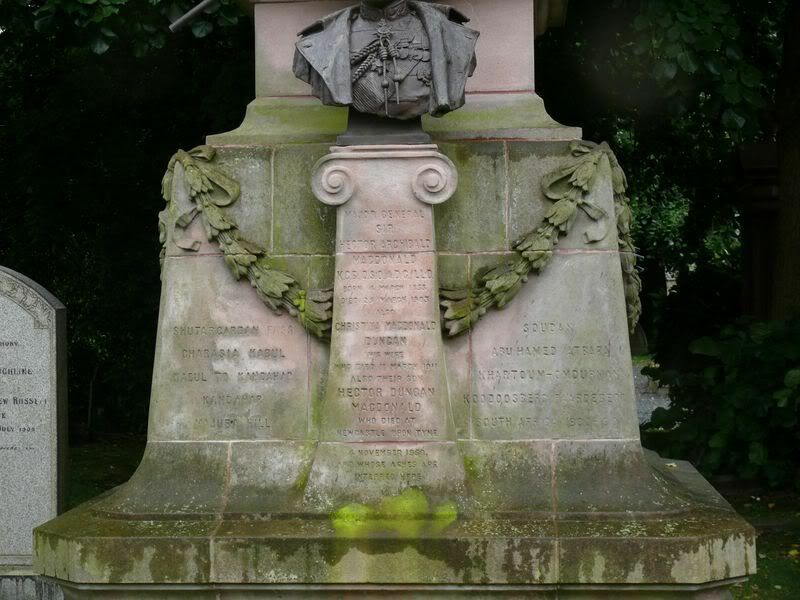 This memorial to a famous and controversial soldier may (or may not) mark his burial.............read on! Born a crofters son, he rose through the ranks from Private to Major General in a highly successful career. Apparently there was some jealousy from the 'proper' officer classes but he was loved by the people. There was some scandal concerning allegations of homosexuality (was he framed?) 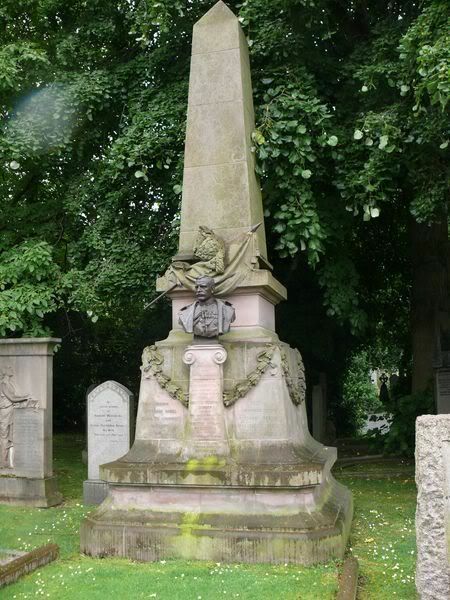 and he is said to have committed suicide, his body being brought back to Edinburgh under cover of night but many thousands stayed up to see him home and visited his grave in the next weeks. Rumours then arose that he had perhaps survived and that he had taken the place of a German cousin, August von Mackensen, who was of a similar age and reported as being gravely ill at the time of the suicide attempt. Von Mackensen, who rose to the rank of field marshal in the Prussian army, miraculously recovered and suddenly discovered military skills he had not previously possessed. 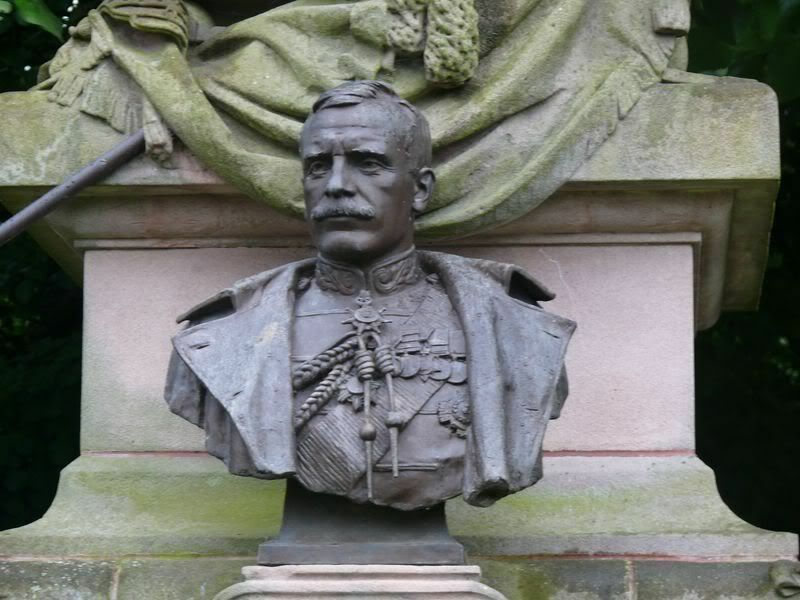 A government commission in 1903 cleared him of all wrongdoing. So 'Fighting Mac's' coffin could contain his remains, those of his cousin or just rocks. A very impressive memorial to a great soldier. 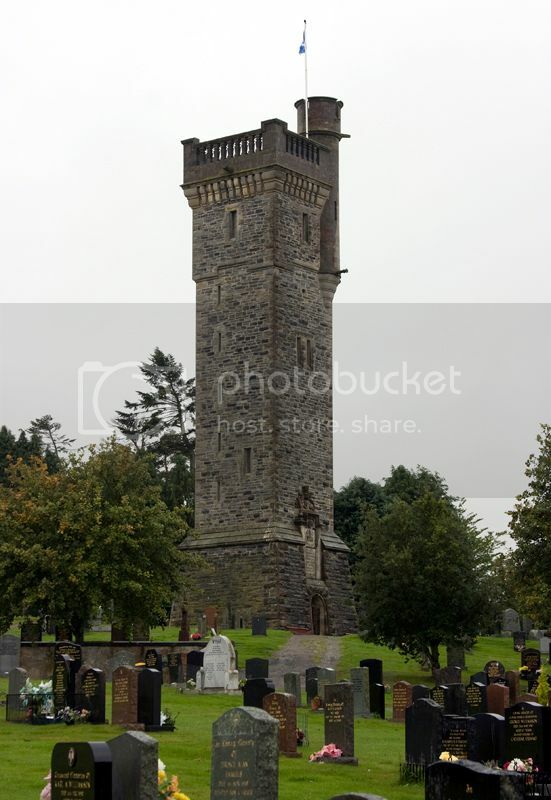 There is also a tower in Dingwall - see photo below - erected to his memory that overlooks the town, which I think is just as grand a memorial as this one in Dean Cemetery. Surely there must be some mystery about this man's death - why would a memorial be raised in Dingwall if he had done what he was accused of?? ?